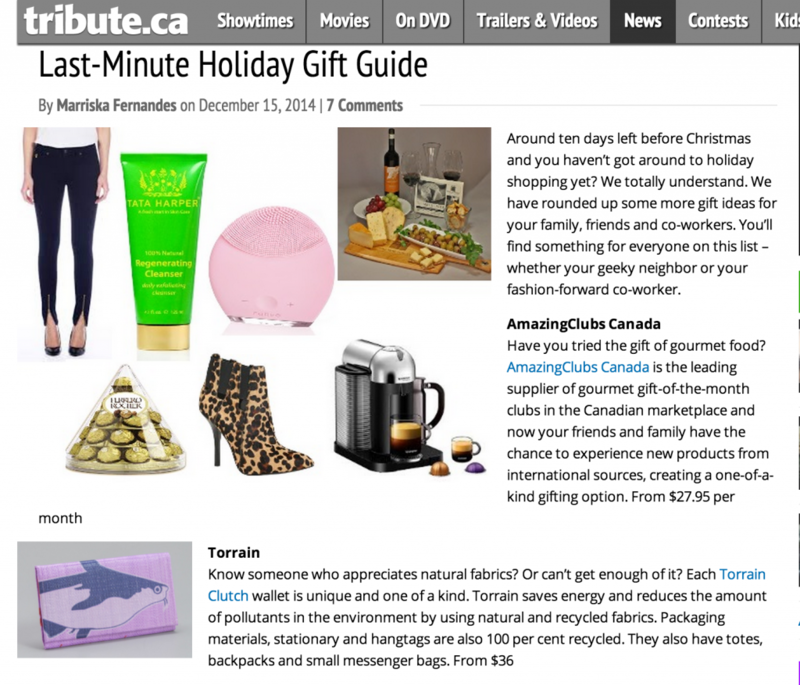 Congratulations to our Client Torrain for their feature on Tribute as part of their Holiday Gift Guide! Do you know someone who appreciates natural fabrics? Or canâ€™t get enough of it? Each Torrain Clutch wallet is unique and one of a kind. Torrain saves energy and reduces the amount of pollutants in the environment by using natural and recycled fabrics. Packaging materials, stationary and hangtags are also 100 percent recycled. They also have totes, backpacks and small messenger bags. Check them out atÂ torrain.org!